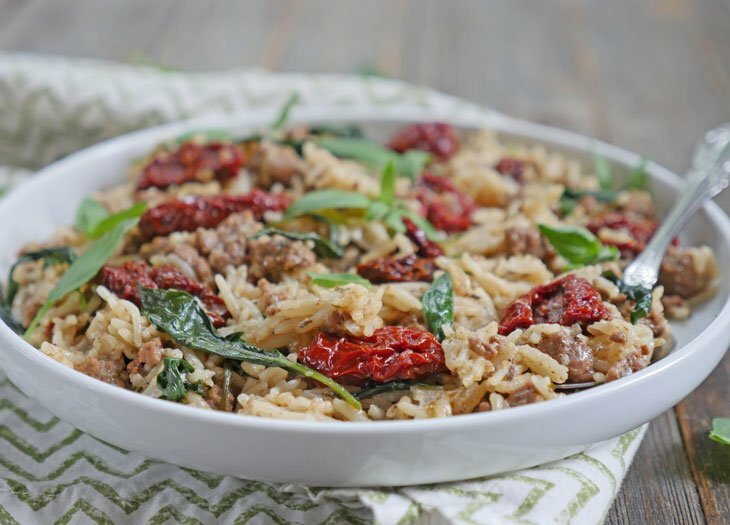 This one pot ground lamb and rice dish is packed with bright and fresh basil leaves, sweet and tart sun-dried tomatoes and loads of flavor. It’s a simple one pot meal that’ll have everyone going back for seconds. I first came up with this recipe sort of by accident. 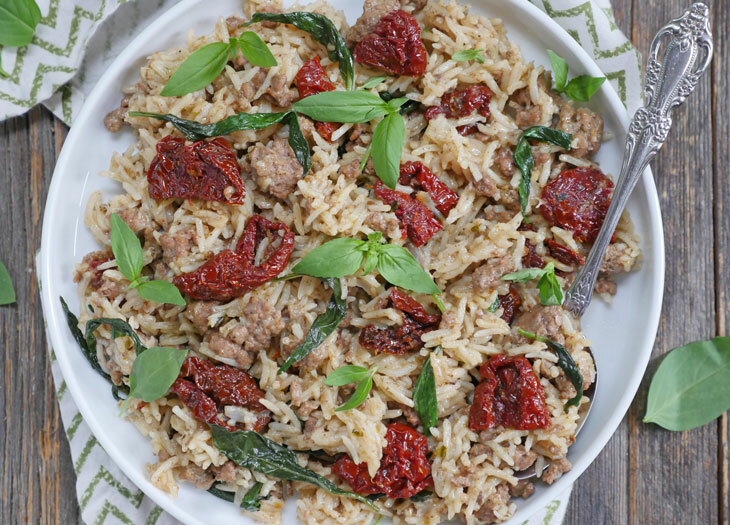 I had a lot of leftover basmati rice in the fridge, a pack of ground lamb waiting to be used, a jar half full of sun-dried tomatoes and fresh basil – which is an herb I don’t typically keep in the house (unlike cilantro which basically moved into my house and refuses to leave). Fortuitous, right? 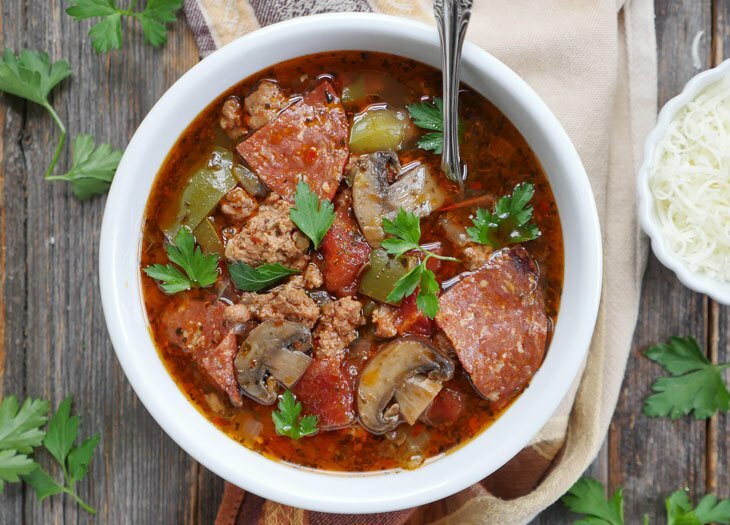 It was basically a leftover jumble that turned out to be so good that my husband asked me to make it again the following week – so I did, but the next time I made it, I did so using my favorite kitchen appliance, my electric pressure cooker: an Instant Pot. Since then I’ve made this several times – I have no idea why it has taken me so long to get this on the blog but now that it’s on here, you guys need to make it asap! Make it while fresh basil is still super abundant! 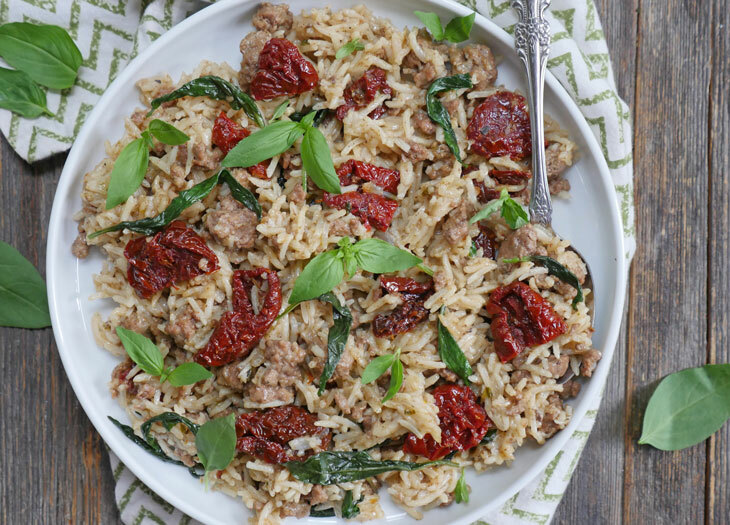 This Italian pilaf is a little spicy thanks to the serrano pepper and the cayenne but you can definitely leave those out if you prefer. It also has a decent amount of garlic, don’t (ever) skimp on garlic y’all! 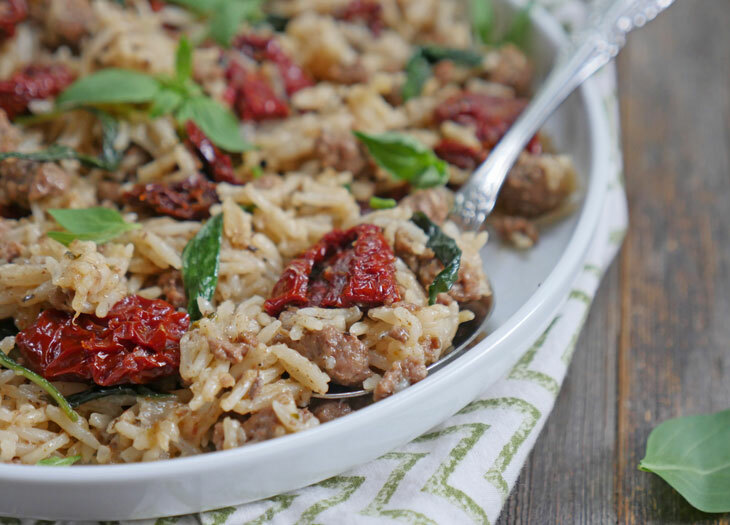 I hope you love this delicious and flavor-packed Italian ground lamb pilaf! I’m really excited to hear what you guys think of this recipe so leave me a comment here on the blog to let me know! Press the sauté button, add the oil and allow the pot to heat up for a minute. Then add the ground lamb, onion, serrano pepper, garlic to the pot. Cook until the lamb is no longer pink. Add the paprika, salt, black pepper and cayenne and mix well. Add the drained rice and 1 cup of water to the pot and mix well. 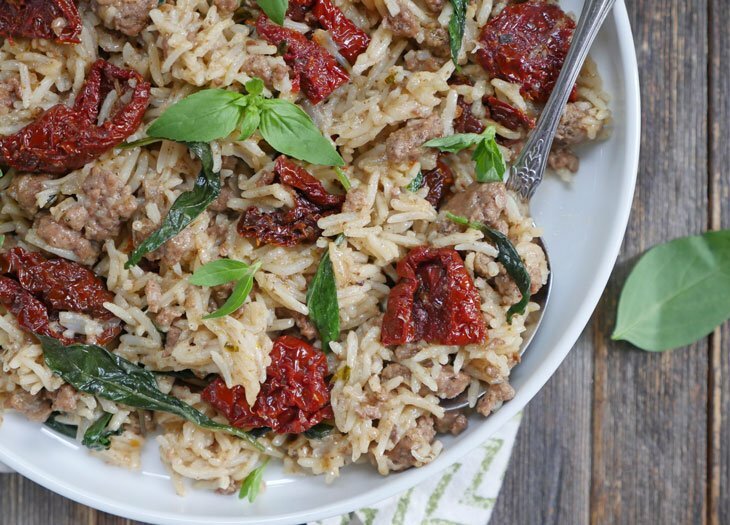 Stir in the sundried tomatoes and fresh basil. Once the tomatoes are warmed through and the basil wilts, serve. typically sun-dried tomatoes have salt in them which is why my recipe calls for a bit less salt than usual (¾ teaspoon instead of 1 teaspoon). You may need to add a bit more salt at the end to taste. okay just one more pic… yum! Ashley!! First of all, I cannot believe that you typed ‘Y’all’…Since I moved to Georgia several years ago it is so nice to see that. Many years ago, I lived with two old Italian women. They did not speak much English but they taught me so much about cooking, about growing food plants, and how to preserve food. They would have loved this recipe. 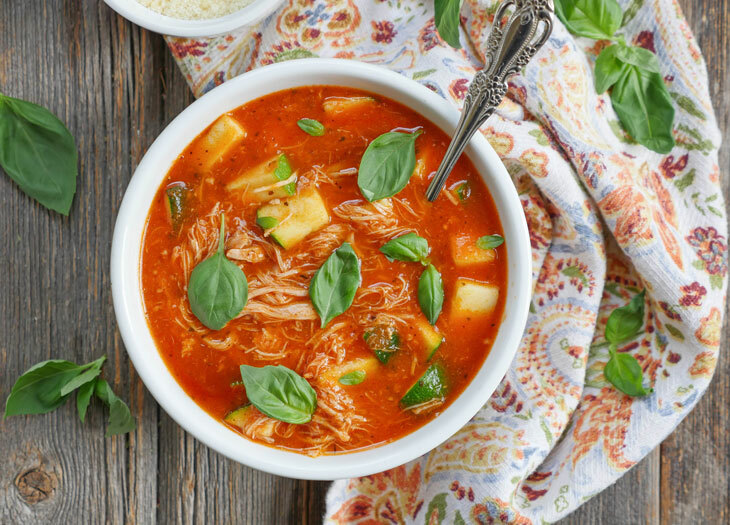 I grow lots of herbs and tons of tomatoes and will make this dish now that I am getting a bit more comfortable and confident using the Instant Pot. Thanks for all you do! Hi Ashley! My mother just started a garden in our backyard, and basil is super abundant there and growing like crazy! 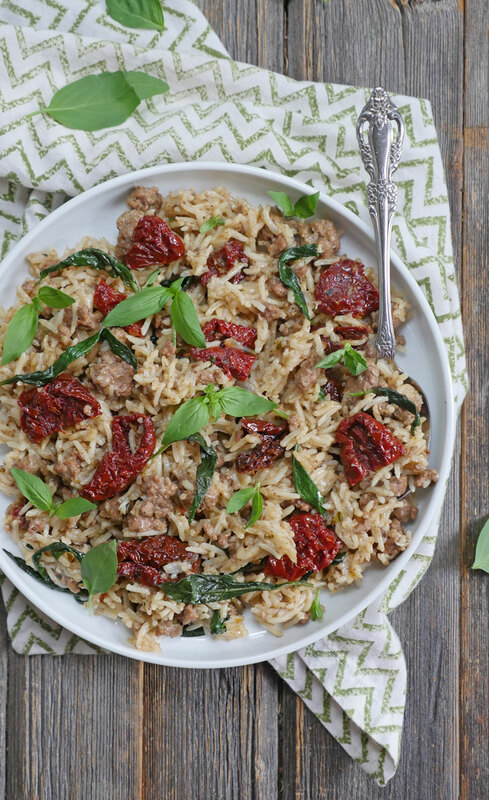 This was a perfect recipe to showcase our fresh basil, and I love the combination of spices, lamb, sun-dried tomatoes, and basil! Thank you again for another fantastic recipe! 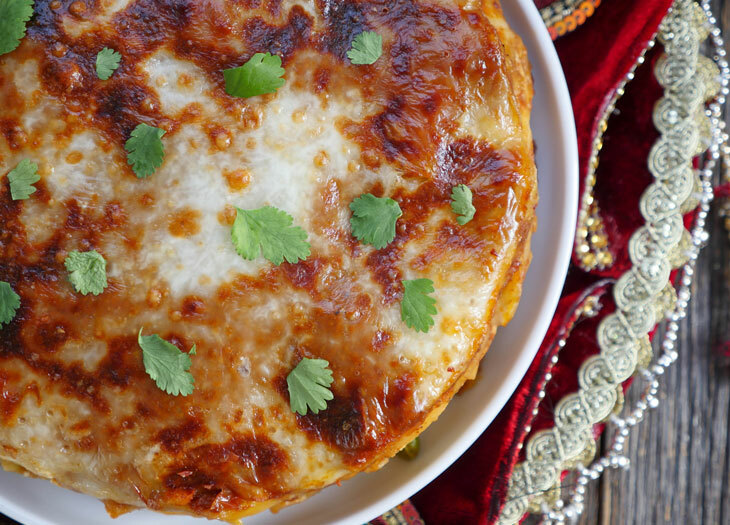 And the fact that it can be made in the instant pot makes it even more stellar! Maneesha, I’m so happy you made this and liked it 🙂 Thank you for always leaving such great reviews! Hi Lisa! I’m so sorry – I actually haven’t sent out a new newsletter in ages – I’m terrible at sending them out to be honest and am overdue! Thank you so much for reaching out to me and reminding me that I need to get that done 🙂 I do update the blog so if you don’t hear from me via email please be sure to check out my blog! I made this last night and was really disappointed, which bummed me out as I’d been looking forward to it for a week. It was greasy, and completely lacking both in flavor and salt. The recipe does mention adding salt “to taste”, but salt should also have been added in when cooking the lamb, onion, and garlic. We added a fair amount of salt after cooking, as well. The serrano and cayenne gave a bit of heat but even then we added quite a bit of Tabasco to give it both the flavor and the acid needed. The sundried tomatoes were a good add, but you needed to have it in every bite for it to really be worth it, IMO and that isn’t really practical. Stacy, I’m sorry to hear you didn’t like it… the recipe calls for adding ¾ teaspoon of salt in step 2 before pressure cooking. You can always add more – however because all brands of sundried tomatoes differ in the amount of salt they use, I tried to take that into account. Hopefully you’ll give another recipe on my blog a try some time and have better results. Also, feel free to chop the tomatoes as finely as you’d like.